This book review was first published at “www.boloji.com“. 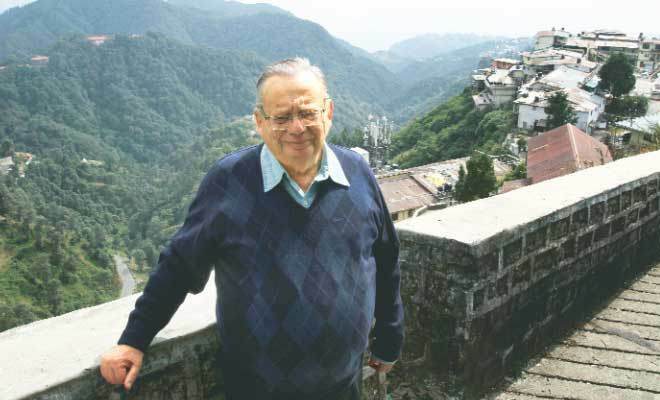 Our very own resident Wordsworth in prose, Ruskin Bond, recounts the first twenty one years of his life in his memoir ‘Scenes from a Writer’s Life’. They formed the most emotional, impressionable, and vulnerable year of his life. The first twenty one years were his formative years as a writer. And as Bond puts, “There are struggles, setbacks, failures, but hope and optimism have not been blighted, and the cynicism of middle age is yet far distant”. Ruskin Bond is an unconventional writer who writes only from his own experiences. His writing goes inward rather than outwards, as he prefers to delve deeper into himself. Reading his works is like taking in a fresh mountain air-soothing and relaxing. The book is divided into two sections. The first section gives a glimpse of Bond’s early childhood and boyhood years, his life with his father, the lonely period with his mother and stepfather, and many such events which sowed the seeds of a writer in him. The other section covers extracts from Bond’s journal of 1951, which gives reader an idea of how he thought and felt and wrote when he was seventeen. Mr. Bond takes you back to the Dehra of 1945, presently called Dheradun. Also, one gets a glimpse of the then summer capital of India under British rule, Shimla. For Dehra, Bond says,” Dehra was a green and leafy place. The houses were separated by hedges, not walls, and the residential areas were criss-crossed by little lanes bordered by hibiscus or oleander shrubs”. In the playing fields of Shimla, Bond found his first reader and critic, with whom he became a very close friend. With a subtle humour, Bond narrates the account of his first book that he wrote at the age of twelve and the punishment meted out to him for writing it. Also, Bond makes you feel the pain of the India’s partition in1947, which separated Bond from one of his close friends. With wit, warmth and candour, Bond brings to light small-town India and its inhabitants, caught between their daily lives and dreams. His struggle which eventually bore fruit with the publishing of his first master piece, ‘The Room on the Roof’ making him eventually one of India’s most treasured authors is recounted by Bond in a simple and compelling manner.